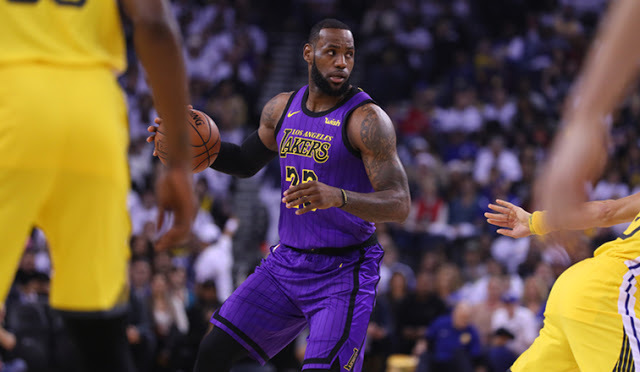 NBA – Cleveland Cavaliers megastar LeBron James posted his first triple double of the 2017 – 2018 NBA Season after playing their 5th game assignment of this early season. James scores a game high of 29 points, 10 rebounds and 13 assist in a losing effort against the Brooklyn Nets on Wednesday night July 25, 2017 (US TIME) at the Barclays Center in Brooklyn. 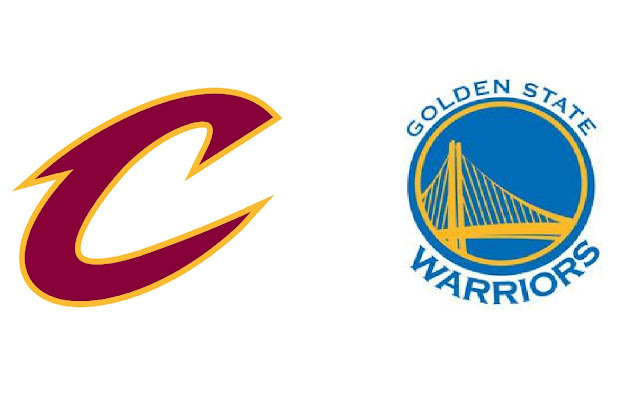 Finals Score Nets 112 – Cavs 107. The Cavaliers loss puts them down 5th place in the East Standing with 3 wins and 2 loss and now currently tied with two other teams the Brooklyn Nets and the Detroit Piston. In the game the visiting Cleveland Cavaliers mostly trailed the entire game down by as much as double digits and even went up as high of 14 points deficit in the 1st minute of the final quarter. But the defending Eastern Conference Champion has made a big run that finally regains the lead since the 1st quarter with half a quarter to go in the final quarter. As the game near its end, both teams are trading basket with 3’s and exchanging leads, but the home team gets the better of the visiting team as they come with a win at home. The Cavaliers had their chances to steal the game after being down for almost the entire game, but the crucial missed free throws by LeBron James that could tie the game with only 7 seconds remaining and the touched down pass by Kevin Love to LeBron James that went into turnover with only 4 seconds to go caused the Cavaliers to lose the game. Nets Spencer Dinwiddie sealed the game after making two free throws with 0.02 second remaining in the game. Dinwiddie leads the nets in scoring with a career high of 22 points, 5 rebounds and 6 assists who is also responsible for the clutch 3’s that brings back the lead to the Nets in the crucial plays of the game and never look back. NBA – After several days of confusion and rumors of possibly void the blockbuster trade between the Cavs former super star point guard and four time All-star Kyrie Irving in exchange of 5 former Celtic’s player that includes two time All-star Isaiah Thomas, defensive player Jae Crowder, rookie center Ante Zizic, 2018 Nets 1st round pick and the deal that sealed the trade the 2020 Celtic’s 2nd round pick. The trade was almost void when the Cleveland Cavaliers begins to have a second thought of Isaiah Thomas condition of hip injury when the later failed to pass the physical examination with that the Cavaliers ask the Celtics to add another player due to uncertain condition of Thomas? At first the Celtics decline the request but later on give another future round picks that finally sealed the blockbuster trade. Overall the Cleveland Cavaliers gets 5 players from the Boston Celtics, while the Celtics gets only 1 player from the Cavs but Kyrie Irving is the only legit NBA superstar and the best player among the players that involve in the trade, even though Isaiah Thomas has a great season last year and finished 5th in NBA MVP Regular Season, Irving is still the best player that’s why the Celtics gives up so many players for this trade to happen. Now that the Boston Celtics finally gets the best player from the trade and Kyrie Irving finally gets his demand to be traded will Irving be the man in Boston? Will he lead the Celtics to the promise land that he couldn’t do when he is the man in Cleveland when LeBron James is still in Miami Heat? Let’s see about that this upcoming season if Kyrie Irving demands was legit or if he truly excel from the years that he and LeBron James brought Cleveland in 3 straight NBA Finals and 1 NBA Champion. Good luck Kyrie in your new team hopefully you and James meet in the Eastern Conference Finals? Boston vs Cavaliers! 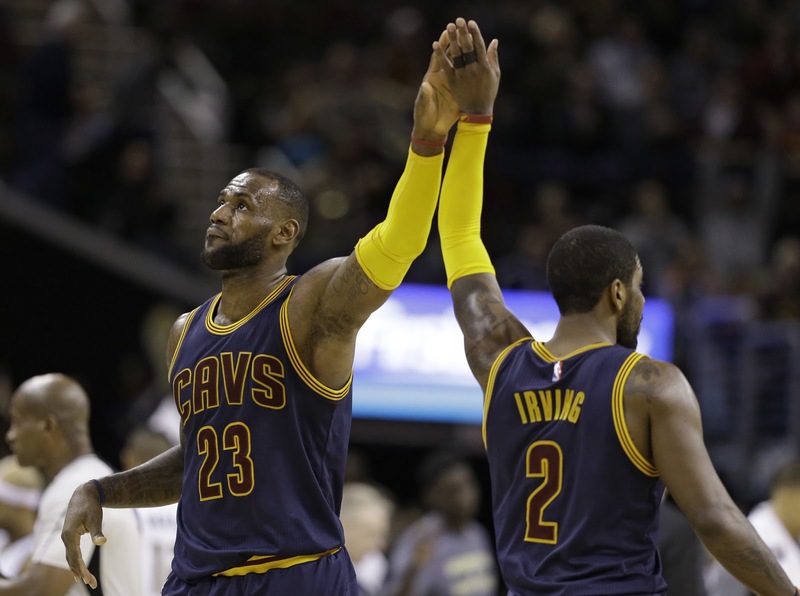 Will LBJ and Kyrie Irving Co-exist if Irving’s Trade Doesn't Happen? NBA – For now the whole world and basketball fans around the world already know that Cleveland Cavaliers teammates Kyrie Irving and LeBron James is not in good relationship after the later revealed the alleged demand of Kyrie Irving request to Cleveland’s management to be traded? Irving’s camp believes that LeBron James camp is the one who is responsible for surfacing his demand to be traded that leak to the media and now is in a frenzy all over the web. According to several reports Kyrie Irving does not want to play anymore alongside with LeBron James and wants to be the main man on his own team, his tired of being Robin the sidekick of Batman, which plays the role of LeBron James. Irving has been in three straight Finals appearances were in 2016 NBA Finals he won his very first NBA Championship and as well for the franchise of Cleveland Cavaliers all of this is because of LeBron James and this upcoming 2017 – 2018 NBA Season the Cavaliers is still the favorite to return to the NBA Finals, but Kyrie Irving thinks the other way he wants out of Cleveland now before James became a free agent in 2018 Off Season where there are rumors that James is leaving again Cleveland for the second time? 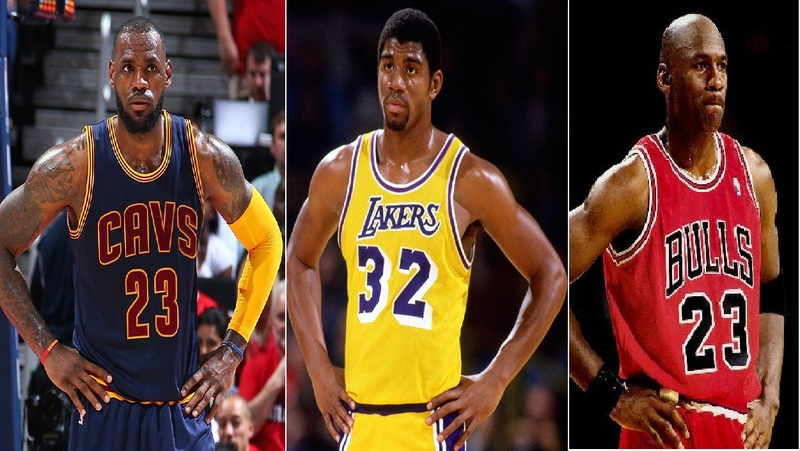 Whatever may be the reason of Irving’s demand of trade many thinks that his decision is immature instead of teaming up with the greatest player of this generation and have a much better chance of another title shot in Cleveland he chooses out or even wait James exit next season and be the main man of the Cavaliers? And now several videos on the Internet showing Kyrie Irving mocking the king in his “I’m Coming Home” themes in his return to Cleveland and another video where Stephen Curry and Kyrie Irving together in a wedding celebration mocking LeBron James? Is this showis that Irving already decided to part ways with James and the Cavs? 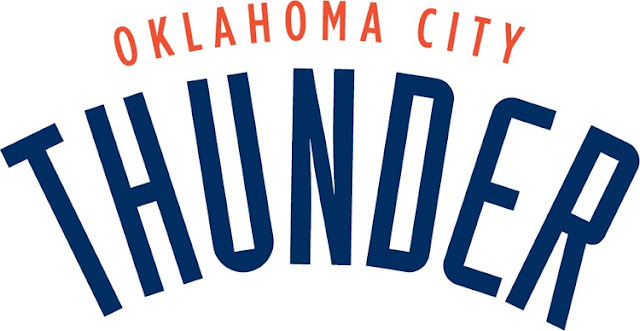 What if the trade does not happen will they co-exist this upcoming season? Irving is still in trade discussion, but there are no clear if the Cavs management is granting his demand maybe the Cavaliers management is still looking for the right deal that will benefit the team? For now let’s wait and see if Kyrie Irving will be truly trade? NBA – The National Basketball Association is currently in Off Season but all the NBA teams are currently busy in trading and recruiting players that will fit in their roster to have a better chance of competing for the NBA Championship in the upcoming 2017 – 2018 NBA Season. 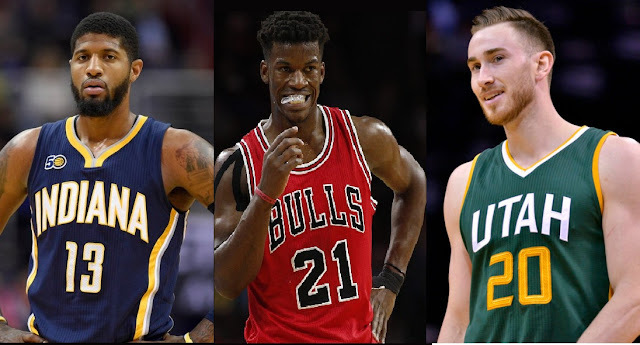 There are already some All-star players that have been traded even before the 2017 Free Agency has started while others re-sign with their recent team and made a super max deals as the free agency started and some leave their team to sign with new teams. 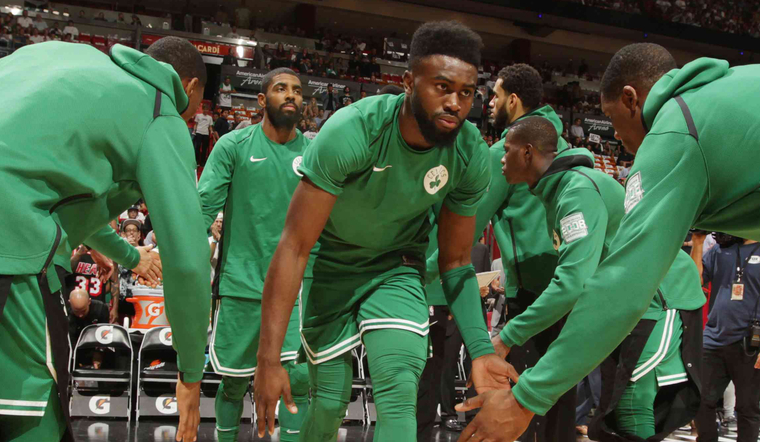 The 29 teams that are improving their roster and finding the solution of having a better chance of dethroning the 2017 NBA Champion the Golden State Warriors, but the Champions are also improving their roster as their free agent key players are already re-sign with the team and now recruiting some players that will improve their team to have a better chance of defending their title for the next season? Chris Paul – Paul is the heart and soul of the LA Clippers, when he is healthy the team is a playoff contender when he is injured the team falls down, he is traded to the Houston Rockets. Dwight Howard – Howard was once a dominant big man in the paint in his early years in the league, but fades away these later years of his career he was traded by the Atlanta Hawks to Charlotte Hornets. Jimmy Butler – Butler is the face of the Chicago Bulls, who ever thought that he will be traded to Minnesota Timberwolves? Will he lead the team in the playoffs? Butler reunites with his coach Tom Thibodeau and Bulls teammates Taj Gibson. Paul George – George announce that he will be leaving the Pacers in 2018 NBA Free Agency to join the Lakers, but the Pacers management did not waste any time as the quickly traded him to Oklahoma City Thunder. Gordon Hayward – Hayward is perhaps the biggest name in the free agency that decided to jump in the Eastern Conference. Hayward a former franchise player of Utah Jazz sign with the last season top seeded team Boston Celtics, he will join Isiah Thomas and the Celtics in their mission of dethroning the Eastern Conference Champion the Cleveland Cavaliers. The Free Agency is still on the way and with that some players are still in the market waiting for the right deals? While the teams looking for the right fit that they will need for their lineups. Let’s wait and see on who’s next big names will be traded and signs with new deals? NBA – The defending Champion Cleveland Cavaliers are one win away over the Indiana Pacers to advance to the second round of the 2017 NBA Playoffs. The Cavs and the Pacers are scheduled to pace one another, perhaps for the last time if the Cavs successfully sweeps the Pacers in Game 4 in the Bankers Life Fieldhouse, Indianapolis. Game 4, is scheduled at Pacers home court, the home team together with their home crowd will try their best to extend their series over the unbeaten Cavaliers one game at a time. The Pacers team is facing an impossible mission that through NBA History there is no teams that ever to comeback in 3 – 0 deficit in playoff history. For the defending champion, they will have a very good chance of finishing the Pacers in Game 4, if they succeed the Cavaliers players will have some time to rest and recover from minor injuries and be prepared on the second round of the playoffs for who may ever they face between the Milwaukee Bucks and Toronto Raptors? LeBron James will lead again the Cavaliers in a possible win in Game 4? With his impressive and high basketball IQ there is a high possibility that the Cavs will end the series on Sunday (US Time) against the Pacers. The Cleveland Cavaliers currently leads the series against the Pacers 3 – 0, in their best of seven series, 109 - 1st round of the NBA Playoffs, the Cavs take Game 1, 109 – 108, Game 2, 117 – 111 and Game 3, 119 – 114. The Cavaliers is highly criticized on their weak defense, especially on the 4th quarter where they always blew a big lead, but the last game was the opposite of the Cavaliers persona where they outscored the Pacers in the 2nd half after falling down as much as 25 points at the half to make a historic comeback in the 2nd half lead by a remarkable performance of LeBron James and eventually won Game 3, in a thrilling and exiting down to wire finish. Game 4, could be another exciting game, let’s wait and see. If you decided to reformat your Desktop or Laptop, be sure to check if all the necessary drivers or devices are properly installed. 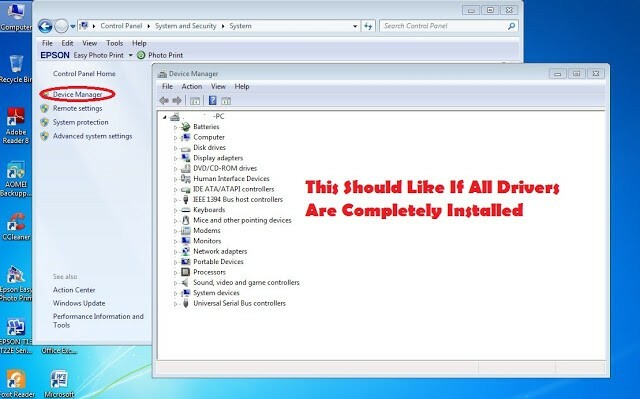 Commonly Desktop has a separate CD disc driver where you can find all the necessary driver to be installed in the computer system once you have finished formatting your desktop. The Cd driver, usually comes with VGA driver, internet driver, sound driver and some other software that your desktop needed to be properly used. 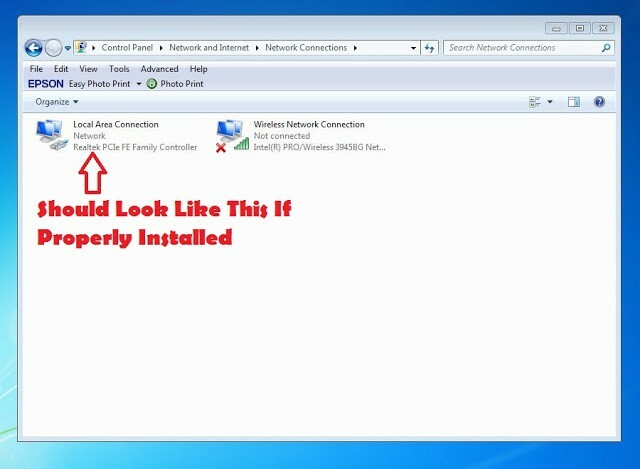 If one of these are not installed, you will not be able to use the full functionality of your desktop. If you are not familiar with this tutorials perhaps this article is for you to learn. 1. 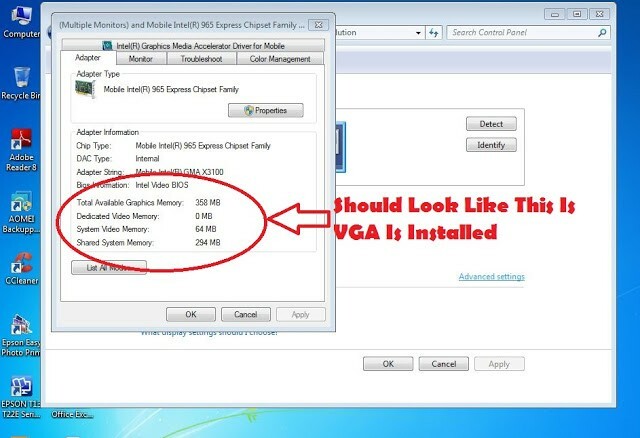 VGA - stands for video graphic acceleration, it is a graphic display that used for watching video and games. If not installed you cannot used this function. 2. Sound Driver – sound driver is use for sound system. 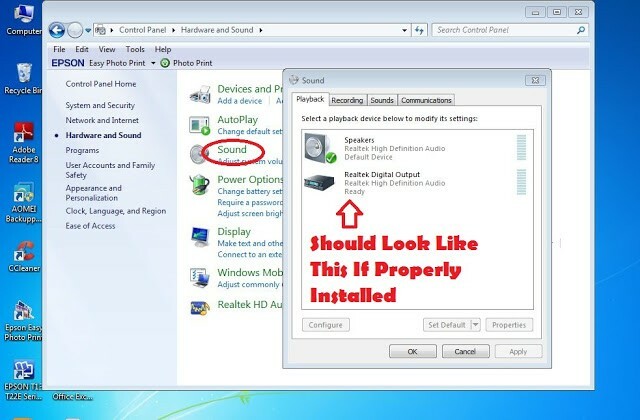 If not installed your computer will not be able to produce sounds. 3. 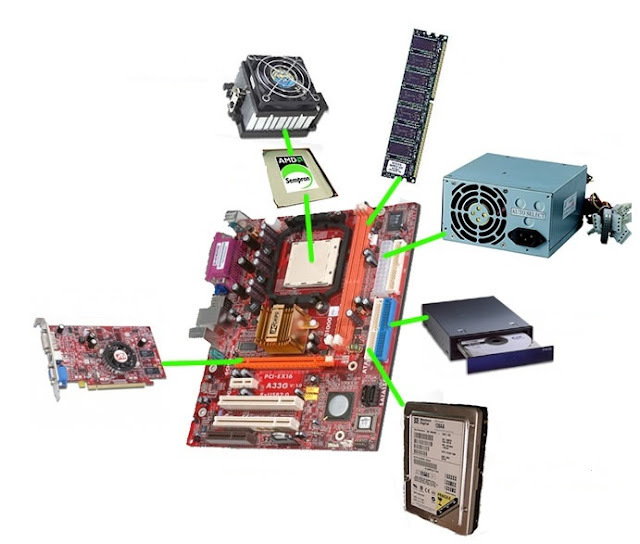 Internet Driver – this driver is used for connecting the World Wide Web or the internet, if not installed or properly installed you will not be able to connect on the internet. As for my experience, they have a built in driver, so even if you reformat it, there is nothing to worry about their drivers, such as video, sounds and internet, they are all built in. All you have to do is install the proper Operating system that will be compatible on your Laptop. This tutorial is base on my own knowledge and experience, it may different from others due to different operating system and brand of computers. Kindly inform me if there any miss-information or any additional information that could be added. Philippines - In every Job we seek there are rules that we need to comply. there are some certain requirements that we need to complete first before we look for a job that will fit for us. • Barangay Clearance – this is the first basic requirements that you will need before applying for a Job. This clearance serve as proof that the applicant is of good moral character and good resident of a given town or barangay. To get this clearance just go to your nearest Barangay hall at your place and ask to information area that you will be applying for this clearance. there are also requirements to get this clearance, you must have a Cedula , 2x2 picture colored and application fee. fee amount depends on the area the you resides. Fill up the necessary details on the application form, there are options on what kind of clearance that you will need? If local purposes, just apply for local employment. after your done, print out the application form, present the print out when you visit the NBI clearance branch that you selected. Payment should be done in Bayad Center, two days before the schedule of your NBI clearance appointment. • Birth certificate or NSO – this certificate can acquire in two options. you can apply manually in the Municipal Hall that you resides or apply online, here is their online website, https://nsohelpline.com/. Fill up the necessary details in the application form, pay the application fee in Bayad center, and wait for a few days to receive your NSO certificate. • SSS ID – you can acquire this by visiting your nearest SSS branch in your area. ask the information area to properly assist you. SSS is needed so that your employer will paid your monthly contributions, so that you will have benefits in the near future. • Transcript of records or Diploma – education is important in applying for a Job. College graduate, can pursue their career by applying for a right Job that is related to their course that they finish. • TIN Number – you can acquire this in BIR or Bureau of Internal Revenue to the nearest branch at your area, just ask for assistance in applying to get a TIN #. this is used for proper payment of your tax which the employer will pay in accordance of the law. • ID Picture – you must prepare 2x2 and 1x1 ID, when applying for a Job, every application form that you will fill up, a picture of yours is always attached. • Medical Clearance – this is required to see to it that you are properly fit. even though that they find somethings wrong in your body, some Company or Employer will still hired you, depends on what conditions you have? 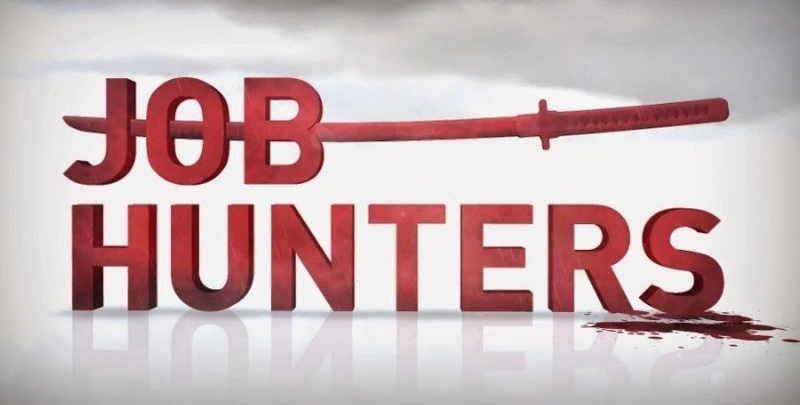 but in general, most applicant denied in their apllication for a job, if employer finds that the result of medical has failed. This are just a basic requirements that you will need in applying for a job here in the Philippines, some Company or Employer might still need more clearance to accept you for a Job, it depends on what Job that you are applying for? Changes for the basic requirements may depends in your area.